Dave Hughes popularized the Starling & Herl beginning in what I think was his very first book (American Fly Tying Manual, 1986). The fly design, however, is very old. Early flies with bodies of peacock herl were usually described as beetle imitations (for example, the Coch-y-Bonddu, Bracken Clock, Little Chap, etc.). That may be true, but a size #16-18 Starling & Herl works great for grannoms in the upper Midwest, either dead-drifted or swung through riffles. Nice post, Phil, and beautiful fly. Very nice way of say'n Howdy, ya got there. Thanks also for the background. Handsome Fly Phil. Starling and Peacock Herl are a winning combination. I like the red tread tag and head on this pattern. Very stylish. Phil, good to see you here again. I hope your water has been treating you well. That Starling and Her is exactly right. 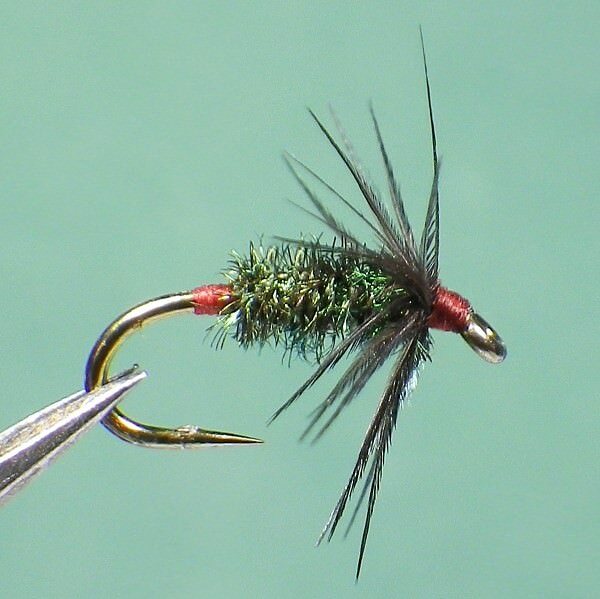 That's a fantastic fly to have as a dropper most of the time. It's almost always that or a Stewart's spider. I like the red tying thread as well.